The birth of our first baby boy couldn't have been more perfect, but how it unfolded was nothing like we had imagined! Jett made his way into the world on his due date, May 14th, and our world changed forever. Keep reading for the full (crazy) story! 5 NEWBORN ITEMS I'M EXCITED TO USE! My due date is just 11 days away and I'm getting so excited to meet our baby boy! I'm also super excited to start using all of the gifts and gadgets we've had sitting in the nursery. The anticipation of it all is killing me! Instead of sitting in the nursery staring at these items and wondering when I'll finally be able to use them, I thought I'd share the ones I'm most excited about with you! Baby J's due date is quickly approaching and that means momma has lots of nesting to do! With a rapidly growing belly and to-do list, I also have so many items I need to pick up before our sweet baby's arrival. Luckily, we are a short drive from The Shops At Mission Viejo and I was able to check off so many items on my list in one place! 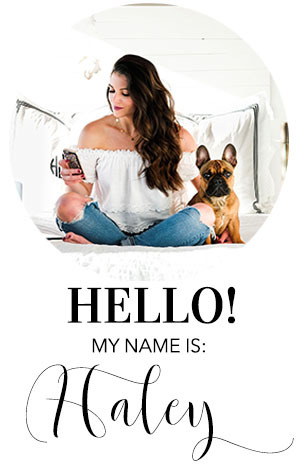 Keep reading to see what I got, my favorite place to shop for baby, and my number one pregnancy craving!